DJ Ignight has performed at 400+ weddings & events all over the United States, from intimate family gatherings to lavish corporate events at Sports Authority at Mile High Stadium, rocking EDM cruise-festivals (meeting Skrillex & Diplo) to all the local clubs & bars in Denver, Colorado. Mike is a true musician & bright personality. Versatile, attentive, & professional, Ignight is able to rock the most unique playlists & crowds with ease. Amberdehn has been playing piano, singing and playing percussion since the early days of her childhood. A mentorship in production led to her playing her first gig in 2014 at beta Nightclub in Denver, CO. A true love of performance has led her to DJ full time with Ignight Entertainment. Amberdehn loves to tap into the energy of the event to guide the energy and engagement of the dance floor. With her bright energy and charisma, Amberdehn knows how to heat up a dance floor with the best music mixes, earning her rave reviews from couples every time she performs. DoubleCrush is DJ duo Amberdehn and Ignight. Known for their energetic and genre-leaping style, DoubleCrush has played hundreds of clubs, festivals, weddings and events. Get ready for the best dance party of your life! There is a reason we are booked at the most epic weddings, celebrations and parties: we will deliver the performance of a lifetime at your event. We love what we do, and are proud to be acknowledged as the most engaging DJ duo in the wedding entertainment industry! Spinning all manner of gigs for nearly a decade across state borders and locally alike, Ian has mastered the craft of reading a crowd and playing the right tune at the right time. Based in Denver and Vail, Colorado, he prides himself in being an artist of integrity, passion and sincerity. Relationships are held in the utmost regard when working with clients and while playing out, connecting with the audience is extremely important, Ian says. Of course, sound quality and attention to detail are two more intangibles that not all DJs have. Ian is the perfect blend of experienced mobile DJ and creative club DJ and thus, comfortable in any DJing environment. Simon has always had a passion for music. He first found his love for DJing playing his Dad’s old 45 records. Since then he has spent countless hours behind the decks refining his craft at clubs, festivals, corporate events and weddings. He believes in the true art of reading the energy of a crowd and playing the right song at the right time. Originally from New Zealand Simon fell in love with the mountains and made Colorado and made his home. DJ Kevin is all about making sure you get to hear (and dance to!) your favorite tracks. 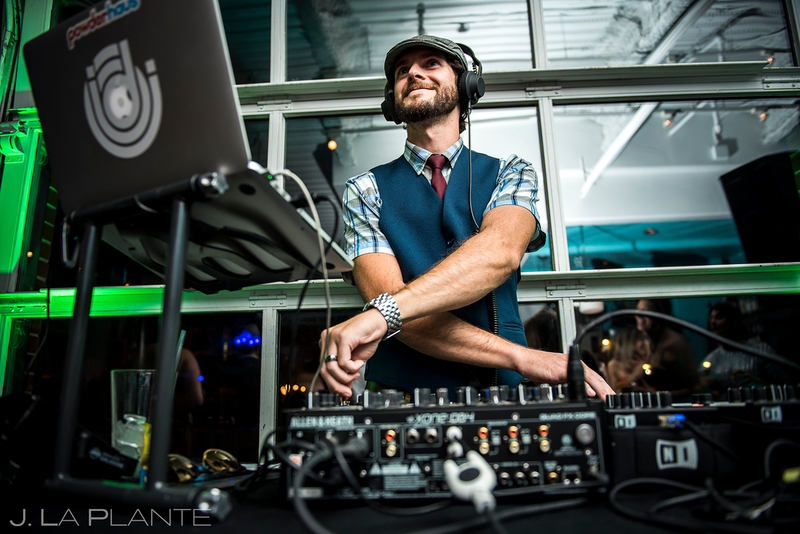 He is personable, positive, and absolutely loves to put together the perfect mix for the dance floor. Also a lighting professional, he has a passion for music that is felt through the speakers. If you’d like to book a DJ or service not mentioned above, please contact us to inquire.